We had our first workshop last weekend, all of the students got to know each other through a series of games and community building exercises. We created the WILDER board which we wrote our motivations for the workshop series and also made it accessible for the community to be involved and add their own card! We went on a photo scavenger hunt, which helped us to get to know each other and get our creative juices flowing (check out each groups pictures below). We also built a library with books that go along with our goals of the workshops and give information on sustainability. 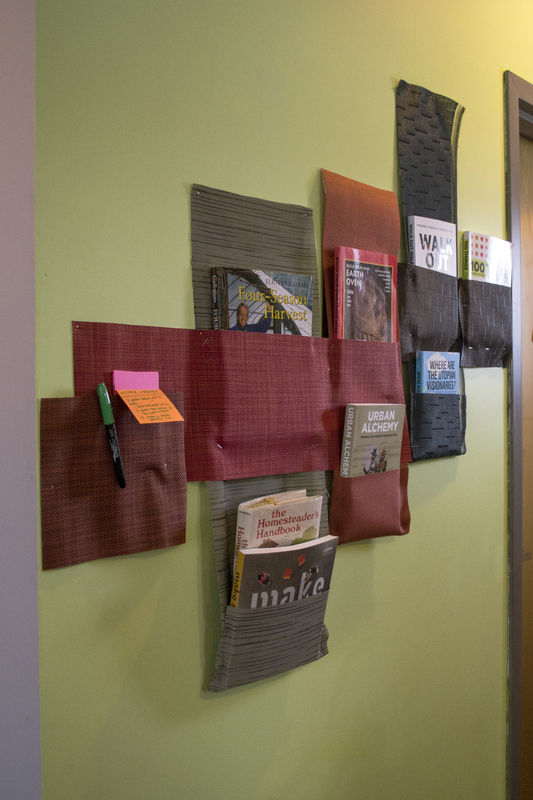 The library pockets were made by SU students and high school students with patio furniture fabric and stables! We hope to get everyone who is visiting 601 Tully involved in some way!